5 vendors have this plant for sale.53 members have or want this plant for trade. Dependable bearer in central New Jersey (zone 6a). Gets very sweet if allowed to ripen to slightly-droopy-stem stage. Ripe fruit attract hornets, and split if much rain. Winter-hardy in ground with bedding down and tarp plus woodchip cover (stems under 3/2" caliper only!) -stems must be neither too dry nor too wet. Fruit large, soft, copious, early by comparison with Chicago (much smaller but no splitting), Green Ischia (same size, fewer but firmer and more caprified taste), Black Mission (shy bearer, and the hornets start chewing even before ripe), and a few other cultivars. This is a great first fig for a variety of regions and it has been a vigorous easy plant for me in humid Northeast FL. I have it in a large terracotta pot on the driveway where it gets a lot of heat. The figs aren't the most intensely flavored but still are a great snack and it has a very good breba crop. The figs have a traditional distinctly "fig" taste instead of the more berry-like tastes some are bred for. My other figs are Violette de Bordeaux (very dissected leaves) and Celeste (very rounded leaves). The leaves of this fig are between the two. 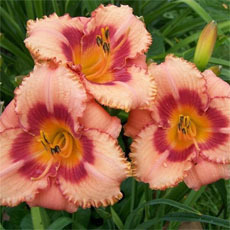 All are attractive and large and have ornamental appeal. BTW figs produce better crops for their size in containers generally due to root confinement. I'd save precious garden space for other, less container-friendly cro... read moreps. My dad has 2 Brown Turkey Figs that have survived uncovered with hardly any stem/branch injury through our last 2 winters here in PA zone 6. They are planted under an over-hang on the south side of his house. They propogate easily from cuttings and grow tall quick and produce a good amount of figs, but they keep dropping most of the figs before they ripen. I would say its a nice tree but I have 2 fig varieties that I like better so far: Black Mission and Chicago Hardy. I like them better because they have produced more fruit for us than my dad's Brown Turkey. They even produce fruit the same year they are rooted from a cutting, which the Brown Turkey did not do. We have our Black Mission Fig tree planted on the South West side of our house in an area where we set up a hoop ... read morehouse for the winter and it does great there. Chicago hardy is supposed to be more cold hardy than the other two varieties, so we planted ours far away from the house and did not cover it durring deep freezes. It died down to the base and grew back in the spring and is producing fruit. Our chicago Hardy and Black Mission Figs have shorter spaces between the branch joints than the Brown Turkey branches so the figs grow in closer groups toward the ends of the branches. They also apear to be more dwarf in size for a longer time but I read they eventually will grow taller than the Brown Turkey if they are not kept trimmed. I currently have 3-4 year old Italian, Celeste and Black Mission fig trees and have some success with the Italian. The Mission fruited one year, but dropped all fruit last year. Celeste had some fruit two years ago, but none this year. The ironic thing is I purchased a Brown Turkey fig tree from Lowe's a month ago which is app. two feet tall. It now has 9 figs on tree. I am amazed. Here in California, we are in the midst of an extended drought and I've got a Brown Turkey fig tree on a hot, dry slope of sandy soil with limited water. Under these tough circumstances the tree stays at about 5 feet tall with sparse fruits that are chewy rather than succulent. This variety does much better in gardens with rich moist soils but it CAN survive during extreme droughts. I've had this fig tree for 7 yrs. It was a tiny thing barely a foot tall now its over 6ft. It's survived the crazy NM weather including high winds, hail, late freezes, and blizzards. I water 2x a week and it always has big beautiful leaves, and sweet delicious fruit. My soil isn't the best and I do pound in a fertilizer stake 1x a year. After a particular nasty ice storm it did kill the mature branches but she's come back healthier. I love this tree. If I could get a few more I would in a heartbeat. I purchased my fig tree 3 summers ago and kept it as an indoor potted plant until the next spring. It was planted out, along the south facing wall of my house, and it did well. It did produce a few fruit that first year. It died back this past winter as I did not do anything to it for protection. It did come back this spring and is bearing a good amount of fruit. I just don't know if I will have had enough summer this year for the fruit to ripen. We'll see how things go this fall. Nine years ago I planted a Brown Turkey fig tree on the south side of the house. Seven years ago I planted a Celeste fig tree also on the south side of the house. The Brown Turkey tree is huge and produces large numbers of big green figs, but only about 10% of the fruit ripens. The Celeste tree and its fruit are not as large as the Brown Turkey, but about 90% of the figs ripen deliciously. This winter the Brown Turkey goes. I'll probably plant a Celeste in its place. I have this plant growing near a south facing wall. I had 10-15 fruits the first year and it was very small. It survived our brutal Rochester winter and is coming back mostly from roots but one branch made it too. I have not done anything special to it but a slightly thicker mulch layer over winter. My father bought this and planted it in his yard 3 - 4 years ago. It has survived and THRIVED - each year producing more enormous leaves and figs. I pruned it this year for the first time and it is about 4.5 - 5 feet tall. It's been a constant struggle, though, protecting the fruit. The tree is situated by some fence posts and squirrels are able to jump from those onto the tree. We installed netting the first year, but the branches and leaves would bust through every other day it seemed and the netting proved worthless. We decided to focus efforts elsewhere- the ant infestation that occurs whenever there are ripe figs. We could watch colonies of pusy ants trailing up the trunk and into the bottom of figs through the small hole that is present on each of them! We were at a loss for ... read morewhat to do. A local gardening center recommended we place a goopy, gluey, saplike substance on the bottom of the trunk to stop the ants from crawling up the trunk. It was somewhat successful in stopping the ants, and did not harm the tree, but flying ants still get at the figs! We've pretty well given up on harvesting fruit from the thing because most figs we are able to pick off have bugs in them. Oh well. Beyond this fact, the tree is so beautiful! The natural shape is just great and the tree canopys very wide at the top. All I had to do when pruning was eliminate some crossovers and a couple of suckers. I recommend this tree for anyone in coastal Maryland! 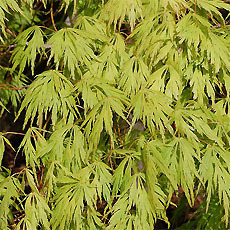 Our hot, humid summers are perfect for this tree and I guarantee it will grow like a weed! Most sources claim my area is a 7b and some claim 8a. Our summers are that of an 8a, no doubt, however it does snow some, so the winters would be 7b. I wish there was a median zone of 7/8. Either way, if you live from the Baltimore region south, you should have no problems whatsoever with this plant. Give it a go, if only for its ornamental qualities! Brown Turkey Fig Trees are a very easy plant to grow. I had one at my first house, just outside of Philadelphia and then planted one here about ten years ago. I do nothing to it and it keeps growing year after year. 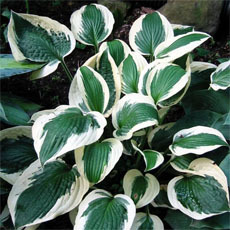 The foliage is always healthy looking and it does not seem to be bothered by any pests. Drought doesn't seem to affect it either. There is some stem die back at the tips in the winter but the plant has never died all the way to the ground. There is no winter protection provided other than that given by a slight windbreak of cherry laurel. Each year we get a fair amount of figs off the tree - and while they are not huge they are very tasty, Unfortunately my dog also finds them very tasty and there are very few figs from about the four foot level on down. I found him in t... read morehe tree this morning looking to see if he missed any. Easy, troublefree, oddity to grow in zone 7. To be safe, I always cut the plant back to a couple feet and put a large potting container over it stuffed with mulch or pine needles. But even if I forget it comes back from the root if it is killed back. I wanted to try my hand at air layering, and read the ficus family was easy to do, so I decided to experiment on the 'Brown Turkey' fig at our old house. I peeled the bark back to the cambium layer on a branch that had the thickness of a pencil, which was fairly easy to do with an exacto knife. I wrapped the wound in sphagnum moss that had been soaked in water over night. I secured the moss with kite string. Then I wrapped the moss in plastic cling wrap and just kept it moist. After a few weeks I could see the roots through the cling wrap and when I felt there were enough I cut the branch off right below the new roots, removed the wrap, moss and string, and potted it up. I did this fairly early in spring - about late March - and my new fig tree made a couple of figs that summer. Be careful planting this tree close to your house. I had one growing beside the house and the root system was so strong and intensive, that it grew under the slab and cracked the foundation. I had the tree and roots removed, but still dig roots out all the time after 2 years, when tilling or digging in the ground. Trees will grow back from a piece of root left deep in the ground, even if there is nothing to see above ground. The roots are as thick as tree stems and it's very difficult to get rid of them. I loved the fruits, but the roots travel long ways and it's just too dangerous to take the chance that they get to the house. Even if you can plant them far away, be aware that there is no grass moving possible 10 feet around the tree, because thick roots also grow on top o... read moref the ground. I have a potted Brown Turkey fig which I bring into the garage (min. temp ~ 40 degrees) in the winter. Got a few delicious figs the first year, more the second, and looked like many more were developing the third season but none matured, despite fertilization and regular watering, with a good deal, but not all day sun. Richly flavored fruit has purple tinged, mahogany brown skin. Has few seeds and is best eaten fresh. Tree is cold hardy. 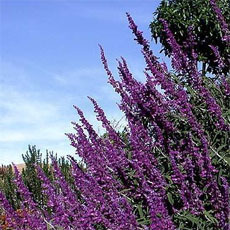 Once established, needs only occasional water. Fertilize 1-3 during growing season. I have my Brown Turkey in a container. For the winter, I moved it into my unheated garage, watering it twice. So far it's doing great this year, growing vigorously, and getting started on its second crop of figs. Big, juicy figs. Yum! Our 3 planted here near the coast in Delaware have done extremely well. They bore a few figs the first summer planted; several more the 2nd year, and have fruit on seemingly every joint, as I write this in the 3rd summer. They always seem to drop the spring fruits, but then bear heavily in late summer/fall. I have just moved into a house in AL and this beautiful tree is growing heartily in my backyard. It brings fond memories of my childhood where my grandfather had one in AR. This tree is about 20' tall and just beautiful. I have small fruits appearing for the fall-bearing time but they seem small. I'm not sure how large they should be. I am happy to learn that I should mulch, but can you tell me with what? I love the way this tree looks, it 'feels' cool in the yard and I have seen a variety of songbirds flitting in and out of the dense foilage. I also love the thick furry-feeling leaves. If I can figure out how to harvest the fruit successfully that will be an added bonus! Not stem hardy most winters, but roots seem very hardy. Can put on 4 feet of growth from roots when stems die back to within a few inches of the ground. Certainly still an option in zones 5 and 6 if you don't mind treating it as a perennial. Brown Turkey figs make nice trees and are quite popular in here in Alabama. They have no major pest problems. The fruit takes longer to mature than other figs and splits when it rains. I personally think brown turkeys are kind of bland and the skin rough but they are okay. Every summer as a child when we went to Jackson Mississippi we made turkey fig preserves in August. Now in CT (Litchfield) I've had a turkey fig tree (that I bought at HOME DEPOT!!!) survive through 2 winters. The first year, although well covered, it died off to the ground. The new growth produced figs that never had a chance to mature. 2003 was a cold wet summer in CT. BUT the tree grew to 4' tall! So I created a frame with PVC to protect it from fall winds until the leaves fell off and then wrapped the whole thing in left over tar paper (from our roof) with a plastic bucket on the top. I heard this is what they do in Italy. I also threw about 2 bales of hay around the base of the wrapped tree. It worked!!! I have new leaf buds!! It's back in it's fr... read moreame to help it stay warm since late it's April and I'ts supposed to go down to 32 tonight...but I'm hopeful it will have time to grow figs that have a chance to mature! I have this fig planted in the city, along a south facing brick wall of my home. We wrap it for the winter in a heavy paper bag filled with leaves. It has made it thru the winters without die back for the last few years and is doing well. Although I had a lot of success growing them in Louisiana and south Texas, I have not been able to get them to grow in Tennesse Colony, Texas. 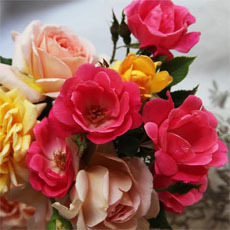 They do flower.although you will normaly not see the flower, the fruit forms and the flowers are internal of the fruit. There is a small opening at the base of the fruit through which the polinating insects enter. If you slice an unripe fig open, while it still has the opening open you will be able to seee the flowers. although they are small and without petals. just stamens and pistles. There is a huge Brown Turkey fig tree growing in my 97 year old Aunt's yard in South Georgia. This was originally her Parent's, my Grandparent's, home, and I believe this fig was planted by my Grandmother in the 1950's, as it has always been there during my lifetime. Every summer this ten foot tall tree, probably kept pruned by my Aunt's almost equally ancient yard man, is literally covered in the most delicious, medium sized figs, with a pink-red flesh and a dark purple-brown skin. 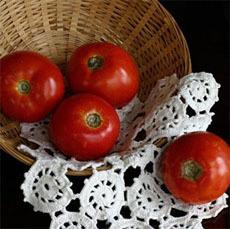 They can be eaten fresh out of hand, or put up as a "preserve" in canning jars for later use. I recently bought a small fig tree labeled 'Everbearing,' but the grower said this term is used interchangably by fig nurseries with 'Brown Turkey,' and the few dozen figs I got from this little tree... read more this past Summer were exactly the same as the fruit from my Aunt's 'Brown Turkey' tree. I also recently purchased a booklet about growing low-chill fruit trees in Florida, where I live in zone 8b, and it says that figs have been grown since Biblical times and will grow all over Florida from the Panhandle to the Keys, and "like limestone soils with a high pH of 7.0 or more" so they do well planted by the foundation of a house, which is usually more alkaline due to the leaching of concrete foundations, walkways, driveways, etc. In more Northern climates figs freeze back to the roots, but resprout vigorously again in the Spring. 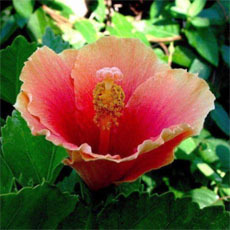 Older plants are more hardy and can survive 15F degrees or lower. Figs bear in their first year after planting, and usually produce two crops, in the Summer and in the Fall. My new fig tree had some figs this past Spring and again in July, so I hope it lives up to its 'Everbearing' name. 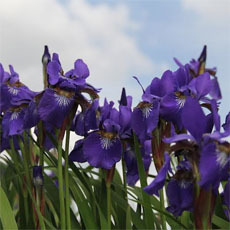 I planted it in a low spot in a perennial bed, surrounded by several types of water loving iris, including Louisiana iris 'Black Gamecock," and planted some sprouting garlic found in a grocery store close by its trunk as an insect repellent. Country folk, who often have their washing machines out in a shed, will usually drain their wash water into a bed of fig trees, as they are heavy feeders, and can handle the heavy phosphates found in detergents and also like a lot of water. Supposedly the only serious pest of figs is nematodes, but heavy mulch helps the tree roots resist them. I recently attended a plant propagation session, and the speaker used some fig cuttings in his demonstration. 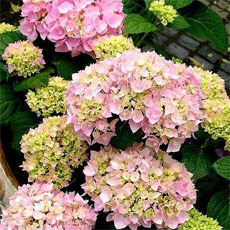 He simply put the 6 inch cuttings in a sandy soil in a pot and put them under a mist system located under a protective screening, without even using rooting hormone. 'Brown Turkey' is the most popular fig tree in the South, and the fruit is absolutely delicious. Figs grow and produce very well here. In the town I grew up in, figs and perssimons were really the only fruit trees around. However, a rust fugus often defoliates the fig trees prematurely. This can be avoided by using a foliar fungicide - but follow the directions closely! Some fungicides rely on toxic metals that can be harmful if ingested. Michael Dirr in his Manual Of Woody Landscape Plants says that excessive cold will cause injury and it is best grown in Zone 7 and south. Dieback can occur further north but new growth will appear.